Regional assessment of seed requirements for ongoing projects including reporting, development of expression of interest proposals, liaison with collectors, purchase of seed, germination testing of seed delivered and dispatch to projects or nurseries as required. Consultancy services including site assessment and direct seeding advice. 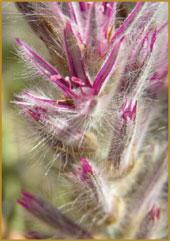 Growing of specific plants for seed production for species which are difficult to collect in the wild. The seed bank has an on site seed cleaning room, This is set up with a full range of sieves, vaccum boxes and seed cleaning machinery. Landcare groups and collectors who are bringing seed into the seed bank are able to use these facilities free of charge. We ask that you contact us prior to arrival to ensure that the seed cleaning room is available at the time you wish to be here. All sieves and equipment are to be cleaned after use and any seed trash should be taken with you. If you require the seed bank to clean seed for you this can be organised on a fee for service basis. Seed bank staff will pretreat your acacia seed prior to delivery on a fee for service basis. The seed is heat and smoke water treated, dried and repacked for delivery. It can be stored for several months post this treatment with no apparent detriment to seed germination. A comprehensive data base of germination rates for the species commonly utilised in revegetation work throughout the seedbank service area is maintained by the seed bank. The seedbank is able to co-ordinate your direct seeding projects. We have several contractors who work with us to undertake on ground works projects throughout our service area. Services include, site preparation and spraying, ripping and direct seeding. We can organise to co-ordinate all aspects of your direct seeding project. Please contact our office and we can provide you with full details of the costs of these various services.